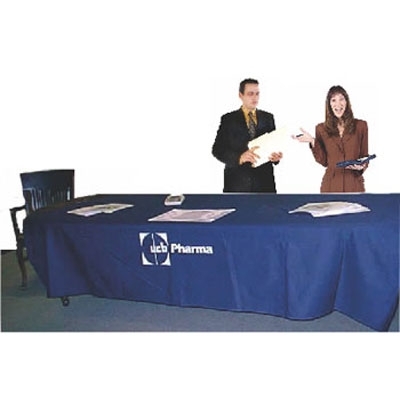 Description High quality tablecloths available in a range of sizes and colours, screen printed in one or more colours with your conference title or corporate slogan. Ideal for registration tables, sales seminars as well as conference venues. Contact us now for price information.